I'm excited to release another big SnipNotes update for iPhone, iPad, Mac and Apple Watch. This update is all about making your work with SnipNotes more efficient and enjoyable. You can download these updates on their respective App Store starting today. 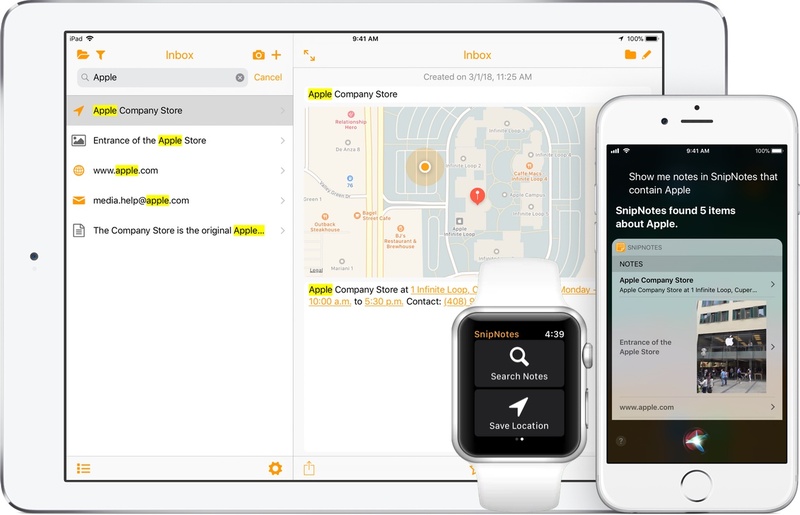 SnipNotes already offers a quick and convenient search functionality on iPhone, iPad, and Mac. However, when you store lots of notes or large notes, the list of search results can quickly become overwhelming. 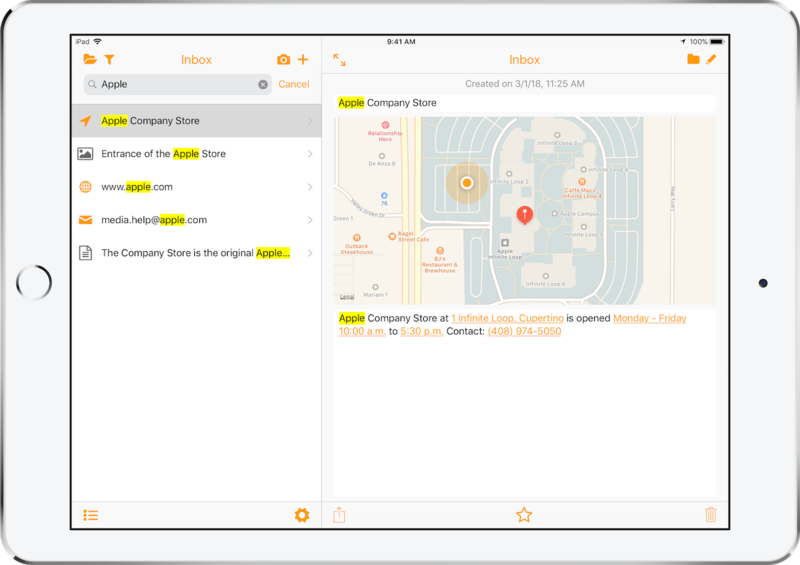 SnipNotes will now highlight search results both in the list of notes and inside notes. This way you should find what you're looking for much faster. Additionally, the search feature is now available on Apple Watch too. You can dictate or scribble a search query and results will also be highlighted. Show me notes in SnipNotes that contain the word "buy"
There is also a new help article available on this topic. SnipNotes on iPad now supports the new drag and drop functionality of iOS 11. You can add text, images, and URLs to SnipNotes by dragging them from another app into the list of notes. This also works vice versa, you can drag any note(s) into another app. On iPad and iPhone, you can also use Drag and Drop to merge multiple notes, move them into another category or delete them. On the Mac, you can now drag text and images into the app to create new notes. And you can drag notes from the list into other apps. You can use the share sheet in Safari to create a new note that contains a link to the current webpage. SnipNotes will now also save the website's title as well as any text you have selected beforehand. Thanks for reading this far! If you have any questions or feedback, please feel free to leave a comment or get in touch with me. This entry was posted in General on 03/26/2018 by SnipNotes. The cloud sync option is greyed out – is that normal in the beta? I have your OS app on my Apple Watch and wanted to see how that worked.